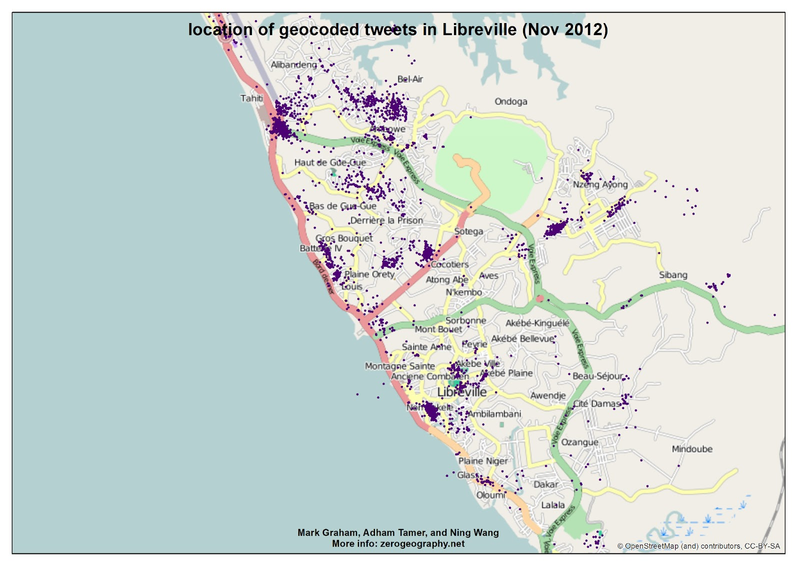 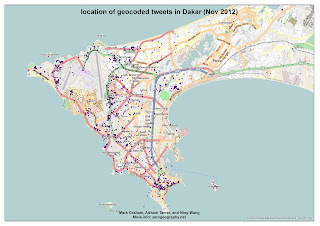 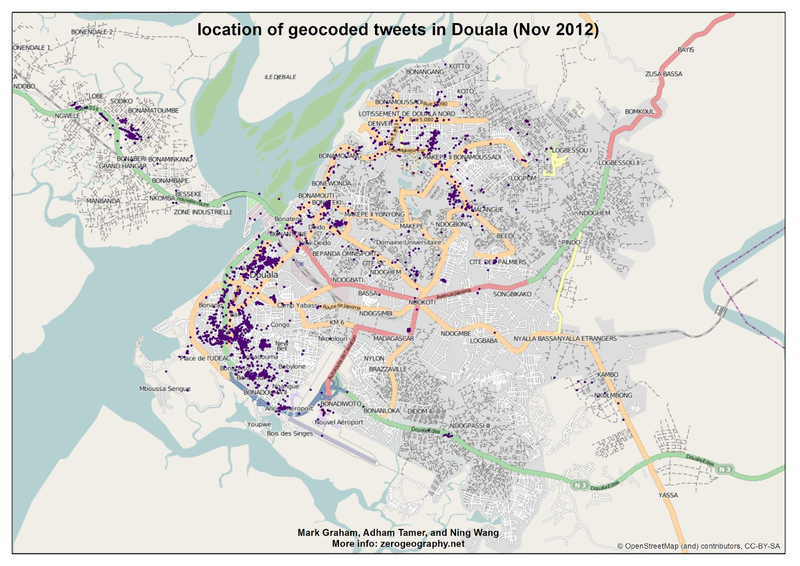 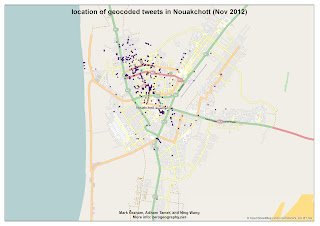 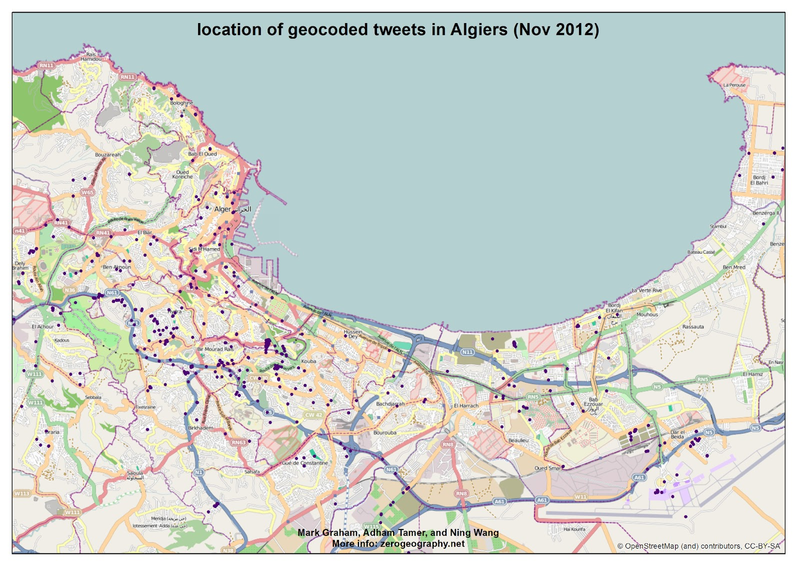 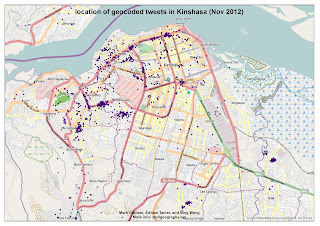 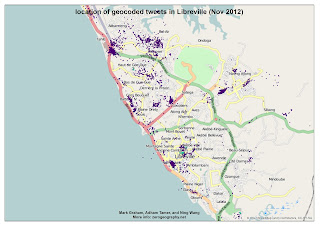 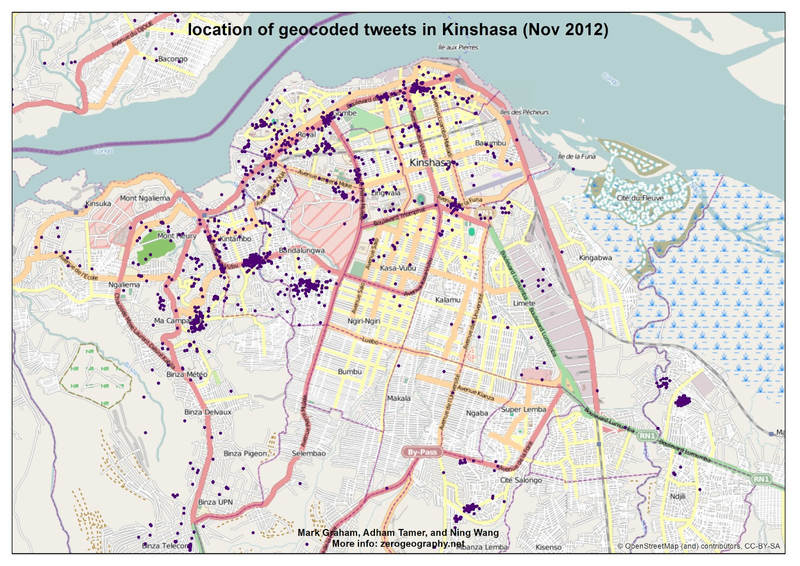 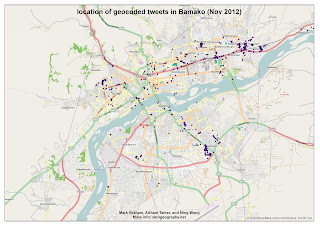 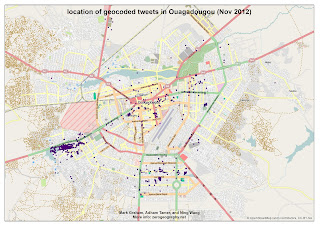 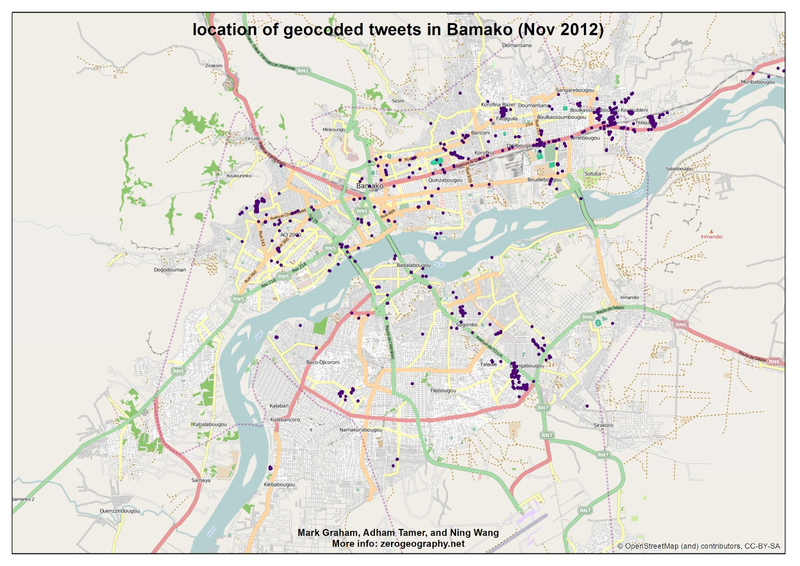 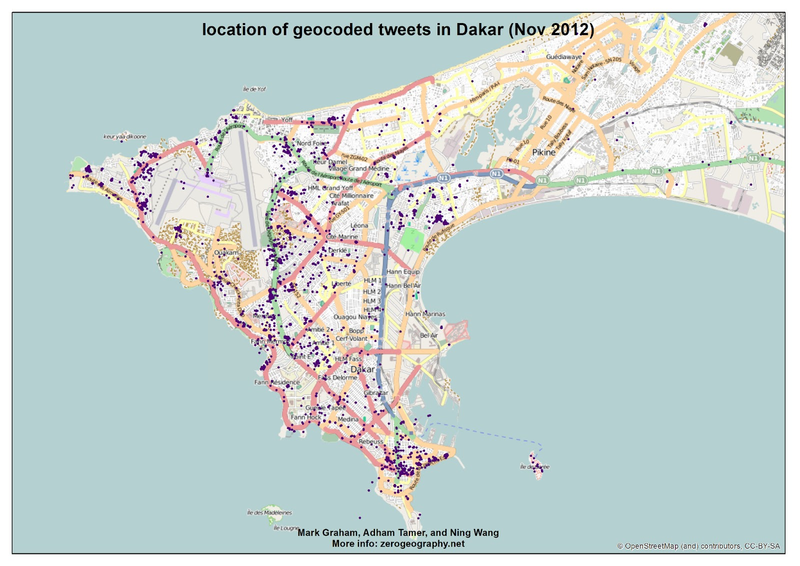 There was a lot of interest in the series of eleven maps of tweets in African cities that I posted yesterday. 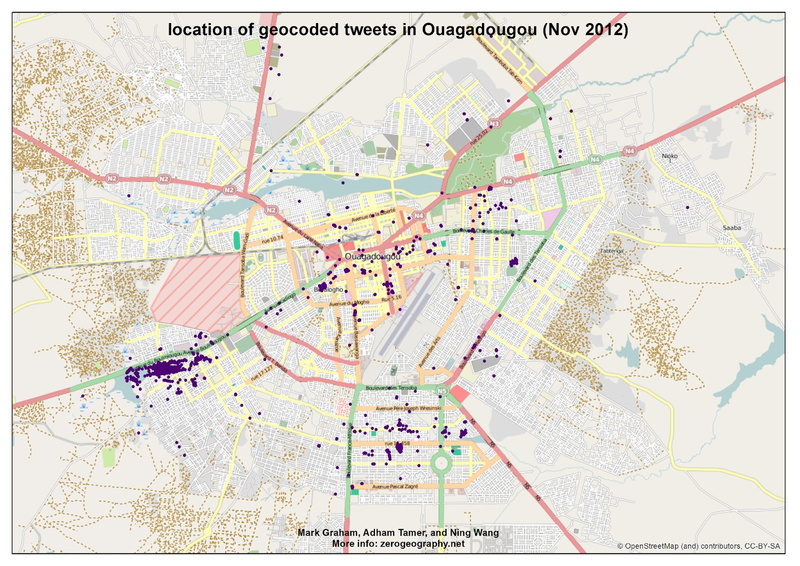 So, here are ten more from Francophone Africa: Algiers, Bamako, Abidjan, Nouakchott, Kinshasa, Ougadougou, Libreville, Dakar, Conkary, and Douala. 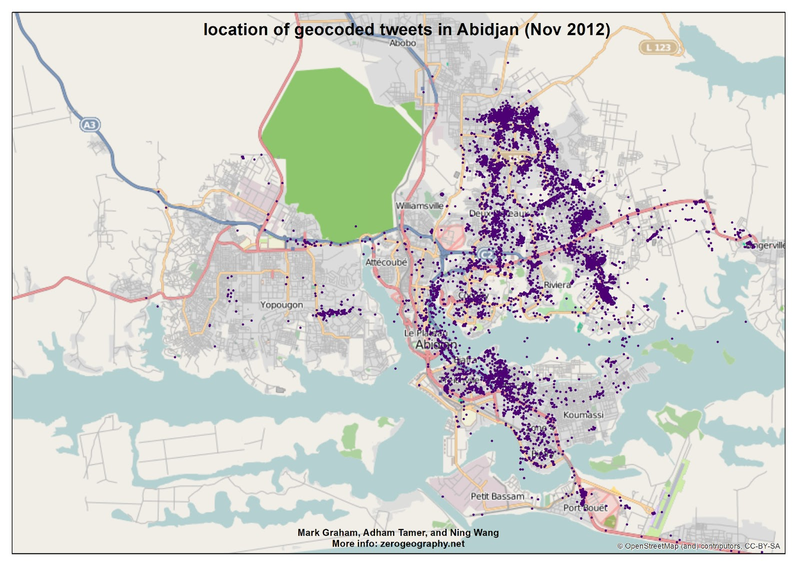 Compared to places like Cairo, Johannesburg, or Nairobi, we see very little activity in most of these cities - with the notable exception of Abidjan. 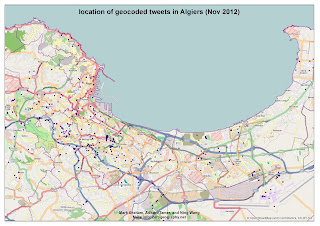 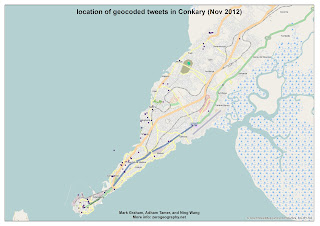 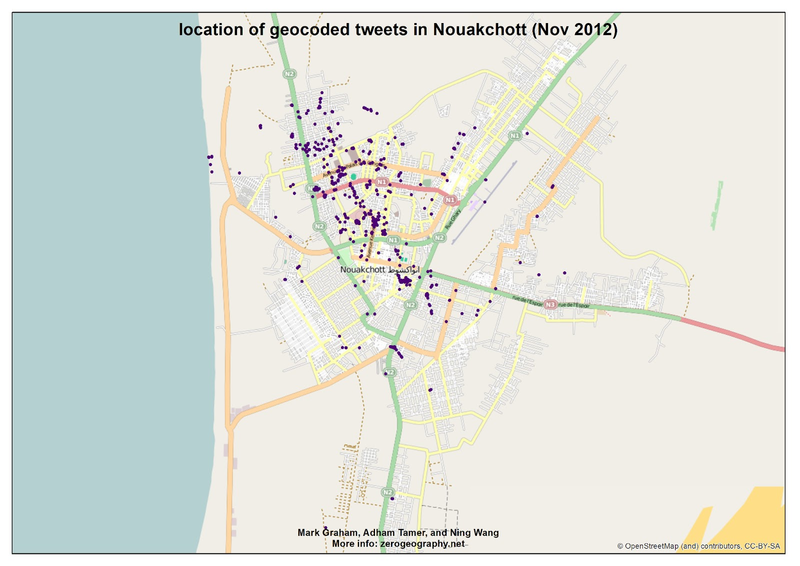 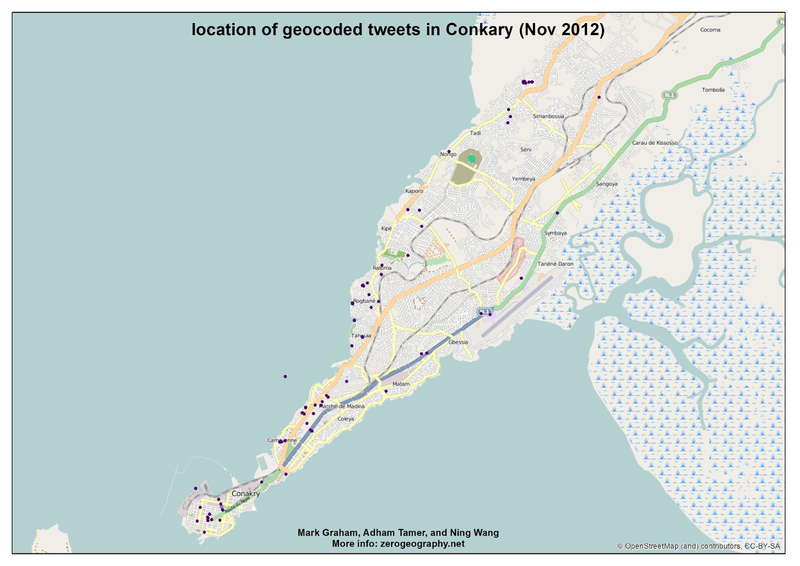 Remember that we are only mapping geocoded tweets here. But these patterns might nonetheless give us a very crude indication of some of the distinct geographies of contemporary digital divides.